“This is a must-have for any researcher in vocational psychology or career counseling, or anyone who wishes to understand the empirical underpinnings of the practice of career counseling.” -Mark Pope, EdD College of Education, University of Missouri – St. Louis past president of the American Counseling Association Today’s career development professional must choose from a wide array of theories and practices in order to provide services for a diverse range of clients. Career Development and Counseling: Putting Theory and Research to Work focuses on scientifically based career theories and practices, including those derived from research in other disciplines. 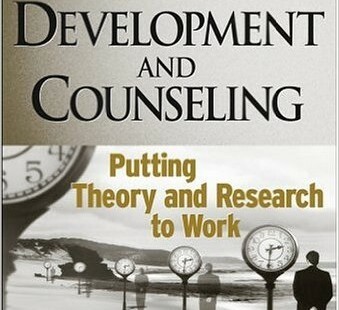 Edited by two of the leading figures in career development, and featuring contributions by many of the most well-regarded specialists in the field, Career Development and Counseling: Putting Theory and Research to Work is the one book that every career counselor, vocational psychologist, and serious student of career development must have.